Light up the block with your Gambino Street-chic hoodie. 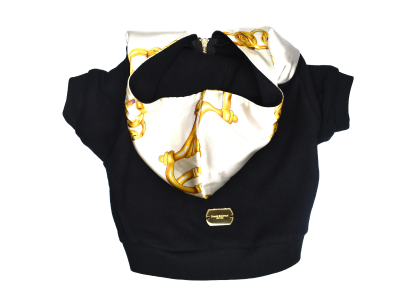 This sophisticated streetwear dog hoodie is crafted out of comfortable cotton, composed with a striking Baroque-style Italian silk. The chains motif on the oversized hood is reminiscent of street styles and will add the perfect frisky touch to your attire. Exclusive Limited Edition, Handmade in NYC. All French Bullevard items are handmade. Sizes, colors and measurements may slightly differ from information listed above. 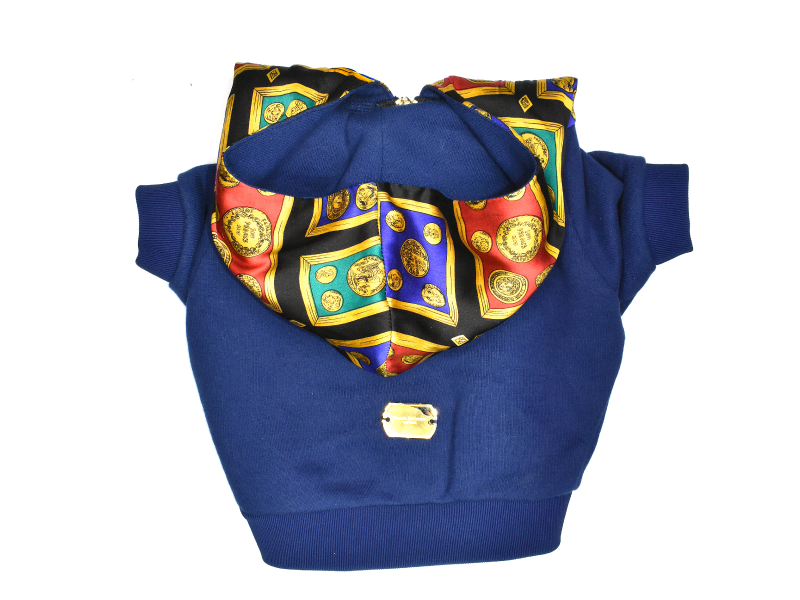 The hood silk pattern will vary from one hoodie to another.